At First Church we believe that we grow in our faith by prayerfully asking questions about current events and God's presence in today's world. We invite you to join the conversation at one of our three adult studies. "We enjoy Faith Link because it gives us an opportunity to discuss current issues from a Methodist perspective. The group offers lively discussion that allows for debate and differences of thought in an environment that is respectful of each person. " Sunday Adult Class 10:10 a.m. Offers a mix of opportunities to discuss and engage. A popular and commonly offered study is FaithLink - a class that takes current events and issues and looks at them from a United Methodist Faith perspective. The class meets every Sunday between worship services. 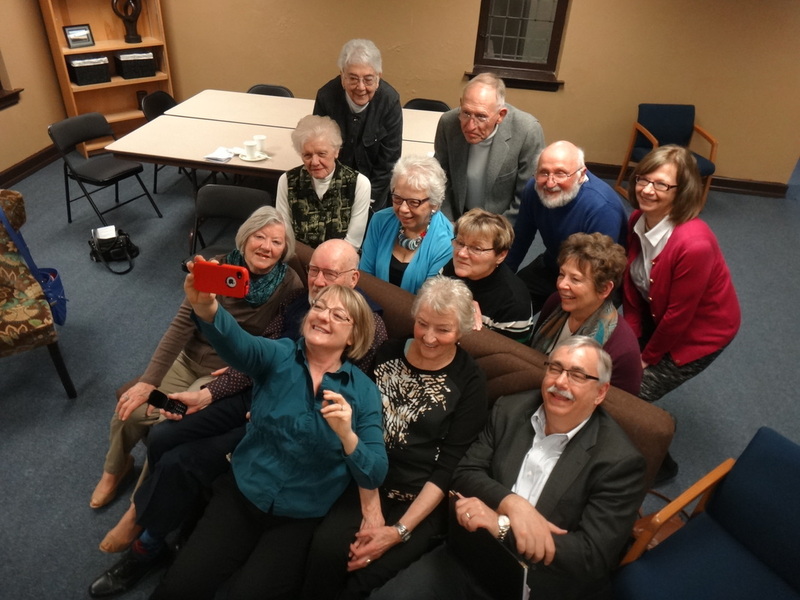 Past FaithLink topics have included hard topics like "The Crisis in Ukraine" and "Execution by Lethal Injection" as well as lighter topics like "The World Wide Web and Faith" and "Selfies." Other topics of Sunday's Adult Class are whole-church studies such as 5 Practices of Effective Congregations and Earn. Save. Give. Sunday Morning Bible Study Class 10:20 a.m. Taught by Pastor Tony Fuller, this class moves through a rotation of studies on the books of the Bible. The class runs year round and through the summer months this year will be looking at the lives of the twelve disciples as portrayed in the Gospels, Acts, and tradition. 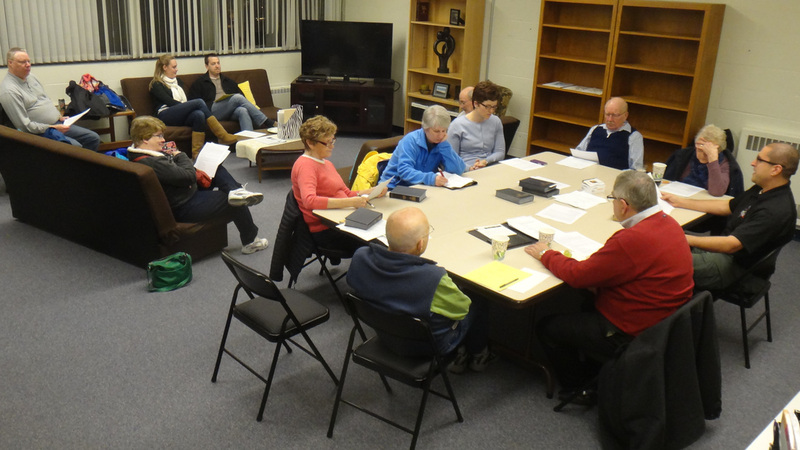 Monday Bible Study Class 2:30 p.m.
Also facilitated by Pastor Tony, the Monday class rotates through a variety of topics. This class is held at Valley VNA in Neenah. Wednesday@First Adult Class 4:45 p.m. This class features short term, 6 to 8 week classes. Past offerings have included studies featuring discussions on the "Big Questions" about our faith, a class titled "Christian Leadership", deep studies of the week's scriptures, and more!